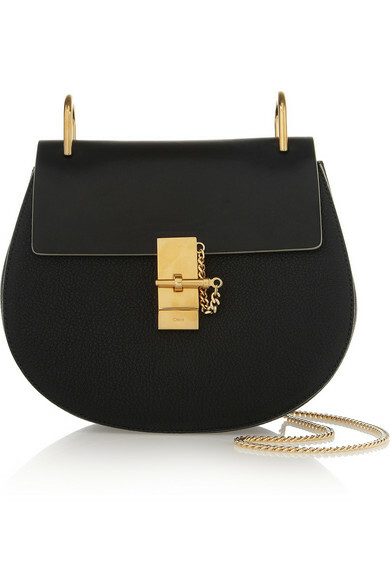 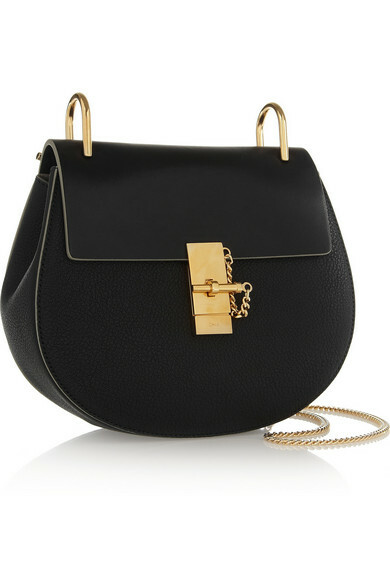 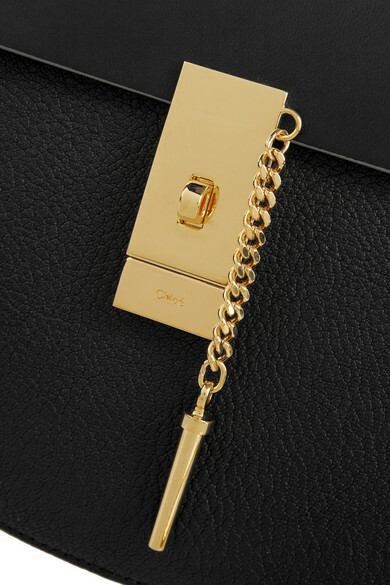 Polished gold hardware and a neat, rounded shape - 'Drew' is the new must-have bag from Chloé's Pre-Fall '14 collection. 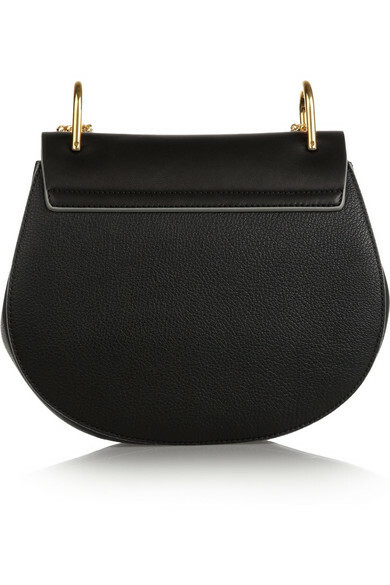 Crafted from butter-soft black leather, this design will never date. 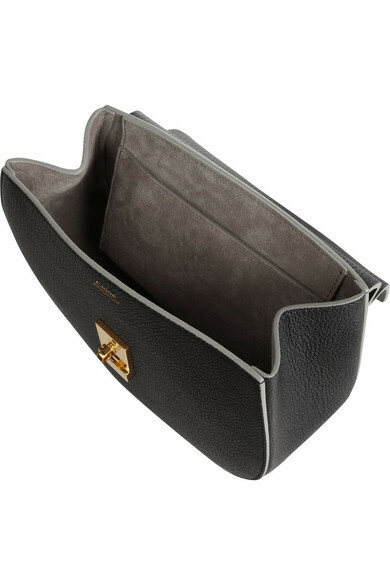 The compact suede interior has plenty of space for your essentials, too. 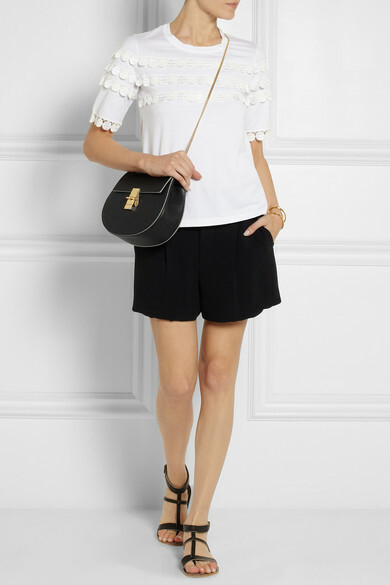 Shown here with: Chloé T-shirt, Chloé Shorts, K Jacques St Tropez Sandals, Hervé Van der Straeten Cuff.